What image comes to mind when you think of a veteran? Actually, the picture is quite diverse. The men and women who served in the U.S. military come from all backgrounds. They are parents, neighbors, entrepreneurs and many of them continue to have a positive impact on their communities. As of 2017, there were 18.2 million military veterans. Of those, 1.6 million are female veterans. Today, one in 12 veterans are women. 7.4 million veterans were in the civilian labor force in 2014 and 7.0 million of them were employed. An interesting trend is that more and more veterans are contributing to the nation in another important way: as entrepreneurs. Between 2007 and 2012, veteran-owned businesses in the U.S. rose by 3 percent, reaching 2.5 million. Women veterans are to thank for this increase. In five years, the number of female veteran-owned companies nearly quadrupled, from 97,114 (four percent) to 383,302 (15.2 percent). What makes military veterans great business people? Perhaps it’s the combination of discipline and leadership skills, in addition to their desire to continue serving their communities. 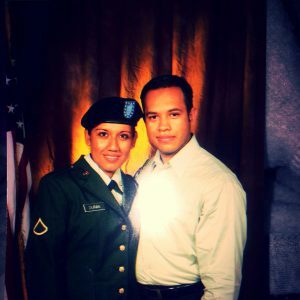 In this article, we’d like to share three amazing stories: Monica Duran and Jamie Sieben, two female veterans who are now successful Herbalife Nutrition independent distributors, and Wayne Atchley, a military veteran who has been an Herbalife employee for more than a decade. In Iraq I was an Aide-de-Camp to a General. That was my first experience with personal development: though the operation tempo was high, it was strongly encouraged to read. The leaders in the command group had several books on leadership and were kind enough to share them with me. But what really inspired me was the General’s style of leadership. He was a high ranking individual who listened to the soldiers and truly wanted to get to know them and understand from their point of view. He exemplified what servant leadership is. When I returned to the U.S., I realized that I needed a shift in my priorities in life. From work, work, and then family to God, family and then work. My family was involved with Herbalife Nutrition. My husband was using the products and my mother-in-law had opened a nutrition club. I tried the products, got amazing results and wanted to replicate the good my mother-in-law was doing in her community. She was changing lives, teaching and training coaches, and helping people become healthier and happier. I then left my corporate America job and jumped in with both feet into the Herbalife Nutrition business in 2010. I use the nutrition club to drive community engagement. We have held food drives and raised money for the Make A Wish foundation, women shelters, and ALS research. I’m excited for what the future brings. One of our goals is to have a Casa Herbalife in Minnesota and I am excited because I know it’s not “if”, it’s “when”. We are also working on creating a program to support veterans in our town/state and provide them with healthy nutrition, a community and options for physical activity. “Healthy mind, body, spirit” is the motto for that initiative and also in my business and life. “I am a first generation Mexican-American. Both my parents are from Cuernavaca, Mexico. They migrated to the U.S. in 1980. They always talked about how important it was to support people who were aiming for a better life. So, since I was very little, my parents taught me about being grateful. That’s when I started feeling moved about helping others. I joined the military in 2006. I served for eight years and was deployed twice to Iraq. I joined because I’ve always been passionate about helping others. I had the dream of saving the world! I learned many valuable skills in the military. Teamwork and leadership were the most important ones. There, you lead by example and you take care of your colleagues like they are family. I was deployed twice to Iraq. That meant too much time away from my son. The first time, he was nine years old, and I left for 15 months. The second time, he was 12 years old, and I left for a year. I missed spending quality time with him and watching him grow and thrive. I left the military in 2014 because I wanted to be with my family. Health problems also influenced my decision. I passed my physical training test, but I didn’t meet my weight standard. The military required that I meet a weight-and-body-fat standard within 60 days. Unfortunately, I wasn’t able to meet the requirements. That got me thinking about how I should care more for my health, and I decided to leave. I started using Herbalife Nutrition products, along with diet and exercise, to lose weight. I lost 74 pounds. * It was life changing! I felt so energized and motivated I got into Business School, which the military paid for. However, I wanted to earn extra income while studying. That is when I started doing the Herbalife Nutrition business in 2014. Herbalife Nutrition allowed me to focus on the two things that were more important for me: quality time with my family and achieving a healthy weight. I used to feel anxious and have trouble sleeping, but this business changed the route of my life. I eat right, exercise, and have community support. I’m happy. Having lost weight is a plus, but what has really changed is my overall state of mind. “I served in the military for 20 years as a noncommissioned officer. It was the late 1970’s and, to be completely honest, I first joined because my two best friends did. They gave my name to the recruiter and I met with him (the pizza was really good). He painted a great picture of what the next four years might be like and I joined for what I thought would be four years only. The military and its way of life have a funny way of changing your outlook and goals in many ways. I grew up in a military area, so I wanted something different this time. 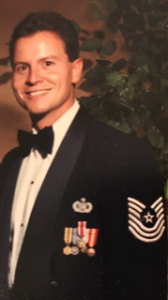 While in the military I had eight professionally rewarding assignments: Montana, Delaware, Arizona, Texas, Turkey, North Dakota, Virginia, California and back to Virginia to retire. What I learned in the military is what I am still doing: organization, discipline and making sure things get done correctly and timely. For most of my military and post-civilian careers, I’ve been in the administration and personnel management fields, so thoroughness and attention to detail are valuable skills. I’ve been with Herbalife Nutrition for over 10 years working as a Senior Executive Assistant supporting the CEO, the CFO, the President & Chief Strategic Officer and the EVP, Global Corporate Affairs. To get things done, you need method, hard work and a sense of humor. The only reason I decided to retire after 20 years of service is because I promised my three daughters I would not uproot them during their high school years. In the military as you gain rank, you have to move approximately every 18 months because they need fresh leadership in your next assignment. This way, my daughters were able to keep their friends, pursue athletics and academic interests and have a foundation moving forward in life. 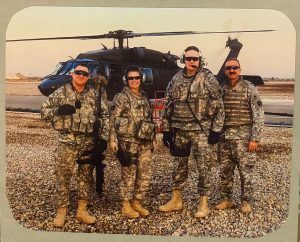 Actually, my eldest daughter decided to follow in my footsteps and joined the military after 9/11 and served as an air traffic controller for six years on active duty, a job she has successfully been doing for the last eight years in Philadelphia as well. Veterans have experienced first hand what it’s like to make a difference. It’s only natural that they continue to look for such a satisfaction throughout their lives. Engaging in the Herbalife Nutrition business is a great opportunity to do so, by helping people to lead a healthier lifestyle. Veterans can try this business opportunity as a part-time endeavor, make some extra income, and further contribute to the wellness of their community. At Herbalife Nutrition we feel proud to count several veterans among our employees and distributors. For all your efforts and commitment: thank you!